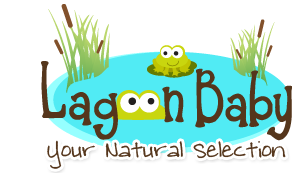 Ask us about creating a custom 2-pack! The Lil Joeys are a preemie/newborn diaper designed to fit from 4-12lbs. 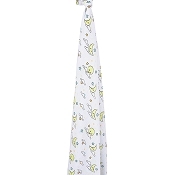 The Lil Joeys take special care with a snap down front for sensitive cord care during those first precious days. 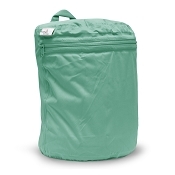 The Lil Joeys are the simplest of diaper systems on the market for a newborn baby. 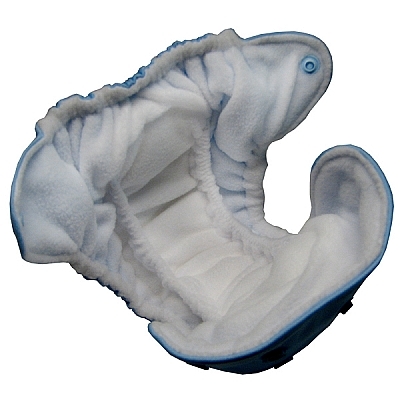 The internal soaker is 4 layers of thirsty microfiber that have been permanently sewn into the core of the diaper. No stuffing required. 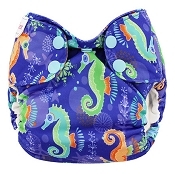 The Lil Joeys are an AIO (all in one) design that is waterproof and requires no cover. Once your baby is ready for the next stage in diapers, The Rump-a-rooz® (Rumparooz) One Size Cloth Pocket Diaper will take your baby all the way through potty training with one diaper that has 4 size settings. No need to buy multiple sizes as your baby grows. 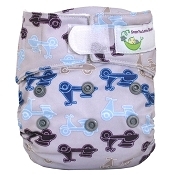 The dual inner gussets can also be found on the Rumparooz One Size Cloth Pocket Diaper. The Lil Joeys make a great addition to any newborn stash. The Lil Joey will fit your preemie or multiples starting at 4 lbs. 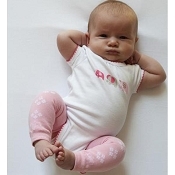 Although the Rumparooz One Size Cloth Pocket Diaper will fit a newborn at 6 lbs, other one size diaper brands do not start fitting until closer to 10-12 lbs. 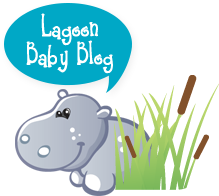 The Lil Joey will fill the diaper gap so that your precious newborn does not have to spend one day in a disposable diaper with chemicals against their precious porcelain skin. Don't sacrifice that tiny little rump, not even for one day! These were the first diapers to fit my small 6 pound 12 ounce baby, and they are still going strong two months and 3 pounds later! He is growing long with thin legs so many diapers (even newborn ones) are too big on the legs....these fit nice and snug. We have quite a bit of room to grow in them still as we're still using the lower row of snaps. We have not had any leaks with these, dry quite quickly, are soft inside, and have adorable patterns! I really liked the snap-down feature for my baby's belly button stump, and have really appreciated having these in my newborn stash. The only thing I am not crazy about is the 'structured' inner part of the diaper,which I guess is designed to contain messes. The creases don't wash up quite as well as I'd like at times ~ this doesn't outweigh the positives though. Overall, really happy I have these!! I had a few of these while babe was a newborn and they fit him the best when he was brand new. He was born at 6lbs 15oz and got down to 6lbs, he was also slow to gain weight so I was happy to have these in my stash early on. I wish that they dried a little faster as they were my go-to in the early days and I was disappointed that I had to wait so long after a wash. There is also no pocket for a booster if your little one is a heavy wetter but the fit is great and they are well constructed. I would suggest these to a friend, the pros of fit and quality outweighed the drying time con. These are great for new little babies as they are small! They don't last very long because of that though. They were the first newborn diapers my daughter outgrew. Easy as they are All in one but take awhile to dry because of that design (vs some aio where the insert is attached but is somewhat separate). Cute and fit under clothes well. Our babe outgrew the absorbency by a week old. They also took a long time to dry. Did fit great on an 8lb babe. This was one of my favorite diapers for the first few weeks. It fits small babies really well and the snap down is great. However, the fit can get a bit weird I find when baby grows. And the absorbancy is not great so they quickly become diapers not to be left on too long. In spite of that, I still like to use them because they are the best newborn AIOs when it comes to containing runny milk poo. Other con, they take a long time to dry since everything is sewn in and they don't lay flat in any way. 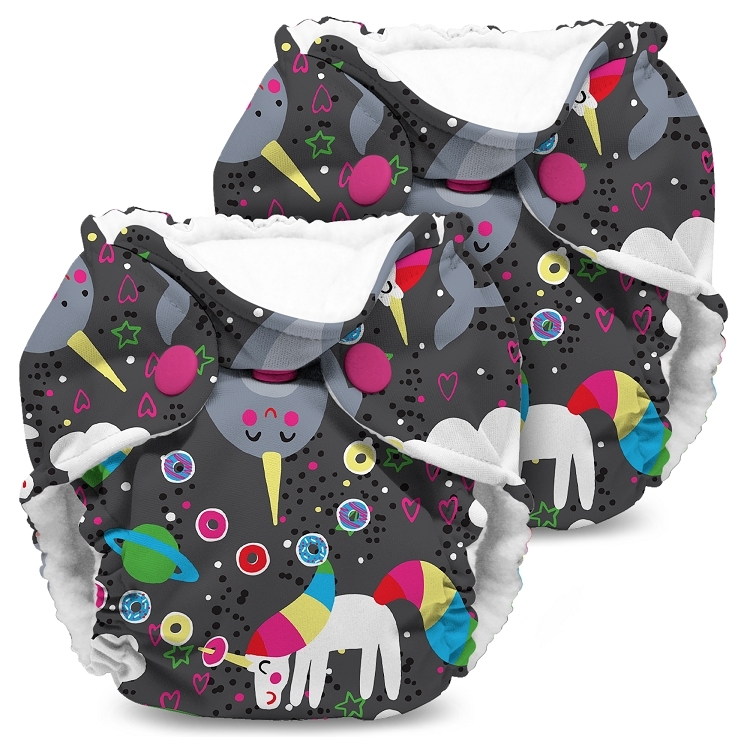 These are adorable newborn AIOs with great prints. They fit your tiny newborn right away but definitely don't last long. They have a great structure inside to help contain those runny EBF poops but the absorbency isn't great for babies who are heavier wetters - my baby leaked through these in less than 2 hours. The great thing about these diapers is they are super easy for people who are not experienced with cloth diapering to use - like any family visitors helping you out in those early days! I loved these AIO diaper's with my newborn, was simple for me to use as i started cloth diapering and the double inner gussets really keep everything inside. They do take a bit longer to dry as they don't come apart but still my favorite newborn diaper. Just got a pair for my newborn but they look really tiny. Will see when lil one arrives, hope it fits!!!! Q: How can I create a customized 2-pack? 2. Make a note in Comments during Checkout which colours combinations you would like to create. (You can check what colours are available by looking at the drop down menu). 3. The colours requested in Comments will be shipped with your order. In the case that any choices are unavailable we will contact you and you will have the opportunity to substitute. Was this answer helpful? 12 of 12 Customer(s) found this Answer helpful. Q: Can a two pack have two different patterns or do they both have to be the same?